Hi - how long is the Transtur trip from Havana to Trinidad? Thanks! Hi, the trip is about 4 hours. Transtur pick up various passengers from different hotels in Havana and they stop for a quick refreshment break along the way. What time do buses leave Trinidad for Havana? You can check the Viazul website for the timetables of buses from Trinidad to Havana. Hi James, I'm glad you found the information useful. Are you planning a trip to Cuba? There are no public buses departing Havana for Trinidad at that time. The only way you can travel from Havana airport to Trinidad right away is to organise a taxi. This can be expensive and it's a long journey. I recommend you stay in Havana for 1 night and then travel to Trinidad the next morning. An-nyeong, Haewon... I live in Vancouver, and have been to Cuba many times. I have some Korean friends who don't speak very much English (no Spanish) who are flying from Incheon to Havana. They will spend about 8 days there. I am giving them suggestions...did you meet any Korean-speaking guides there who could help them? They do not have a night bus service from Havana to Trinidad or vice versa. Please email me at experiencetherealcuba@gmail.com with more detail of what your friends would need, I can help you with organising Korean speaking guides. Hi, my husband and I will be staying in Havana for two weeks. We want to go to Trinidad for the day. You mentioned Transtur. Would there be any issue on getting the bus back on the same day? Or is there an expectation to stay overnight? Thanks. Transtur only have morning departures, therefore the Transtur that departs from Trinidad usually departs at around 8am and there isn´t another one in the afternoon or evening. This also applies to Viazul bus departures. If you only want to spend a day in Trinidad then I would suggest that you go to a Cubatur bureau in one of the hotels in Havana and see if they do organized day trips to Trinidad returning the same day. I know that they have an overnight organized trip which usually include a visit to Santa Clara, a nights accommodation and then a visit to Trinidad, Cienfuegos and then return to Havana. I realize this is an older comment but I was just curious if you and your husband ended up doing the day trip to Trinidad from Havana, and if so what form of transportation did you use? I am going to Havana soon and I only want to take a day trip to Trinidad I don't want to spend the night like most people seem to do and I am just trying to figure out the best method to do this. Mick! I will be arrived at Habana 23rd, March monday. I would like to meet your friends to share some information and mingling. Would you please e-mail me too? then I can talk to them..:) deborahlee0321@gmail.com Thanks! I am coming to Cuba in June - travelling as a solo female. Any advice on the best places to stay etc? I am travelling from Havana to Trinidad to Santiago de cuba. All the transport you have mentioned all sound relatively safe and similar in price but any you recommend that feel safer as a solo female? Can you get a flight from Santiago de cuba to Panama or do I have to go back up to Havana? Cuba is relatively safe, I have travelled solo many times and I´ve never had a problem. I usually stay in Casas with families, if you want me to recommend you a Casa in Havana or Trinidad send me a private email. I don´t think you can book a flight from Santiago de Cuba to Panama, you will have to go back to Havana. Would you share the name of the company that provides shuttle service between Habana and Trinidad? If you don't have the name, could you share the name of the casa owners that can direct me to the shuttle company or help me arrange it? I also need a casa in Trinidad, so this casa may work for me as well if they have availability. Gracias! Please email me at experiencetherealcuba@gmail.com if you want more details of the shuttle and casa in Trinidad. We will be in Cuba July 3rd to July 12th. How can we get from Havana to Cayo Largo/Playa Paraiso? Also, is this enough time to visit, Havana, Cayo Largo, Trinidad and Santiago? You need to get a flight from Havana to Cayo Largo. How long are you staying in Cuba? We will be there July 3rd to July 13th. I have also emailed you as well. As far as I know the only way to get to Cayo Largo is by plane. Hi Rena, I am staying in ROC Presidente, can I find Cubatur bureau you mentioned in the hotel to book the Havana - Santa Clara - Trinidad - Cienfuegos - Havana tour? If no, which hotel I should go? I will be staying in ROC Presidente. Can I book the Havana - Santa Clara-Trinidad - Cienfuegos - Havana tour in the hotel? If no, then where should I go? I don't speak Spanish, am i going to have trouble making booking, and what are the things I should beware? Thank you! You shouldn´t have trouble booking as the people that work at the bureaus do speak English and their tours come with English speaking guides. Just try to ask as many questions as possible to see if there are any hidden costs i.e. if meals are included etc. You tend to get half the story so by asking lots of questions you can hopefully get the full story. You will find that Viazul have few departure times. You can´t really say, "I want to travel at 10pm" and expect there to be buses at that time. It doesn't work that way in Cuba. You really have to plan your travel in Cuba carefully as there are limited options and timings so you have to work your plans around what is on offer. I don't think Transtur do travel to Varadero and in any case they don't have a website facility for you to book in advance. For example if you want to go to Trinidad, you need to book it at a hotel in Havana, they tend to depart once a day and in the morning. If you still need accommodation for Havana email me at experiencetherealcuba@gmail.com and I can arrange a Casa for you. You are welcome to email me on experiencetherealcuba@gmail.com. 10 days is not enough to visit Havana, Varadero, Cienfuegos and Trinidad. I would recommend you stay Havana (3 nights), Cienfuegos (2 nights), Trinidad (3 nights), Havana (1 night). The Cayos are beautiful but they have all-inclusive hotels only, popular for couples and families. Email me at experiencetherealcuba@gmail.com so I can help you with Casas and transfers. What dates are you planning on coming to Cuba? No problem. If you only have 3 days in Trinidad you may decide to miss out Cienfuegos, 1 day in el centro historico, 1 day on Playa Ancon and I would recommend 1 day doing a mountain trip to waterfalls. There is WIFI in Parque Cespedes in Trinidad. You will need to buy a Nauta card for 2 CUC from ETECSA! Enjoy Cuba! Hi Rena, we are planning to visit Cuba Jan. 30th to Jan.3. What would you suggest to do inthat time frame? If you only have 5 days I would recommend Havana and maybe 1 night or a day trip to Viñales. we are planning a 4 or 5 day visit to cuba first week of Feb. Would like to see havana. What other cities would be best for a day or overnight trip?How long to travel from havana to trinidad? You really need at least 2 or 3 nights in Trinidad. It is a 5-6 hour journey. Day trips from Havana: Viñales, Soroa, Las Terrazas. Email me at experiencetherealcuba@gmail.com if you need more information. Thank you for all the amazing information you are providing! I have sent you an e-mail regarding casa recommendations in Havana and Trinidad, I will soon be travelling to Cuba for the first time. Thanks again for writing this blog! Thank you for the compliment, I appreciate your support. I have received your email and responded to it. Have an amazing time in Cuba. Could you please tell me how much it will cost for a private taxi from Havana to Trinidad please? Thank you very much. 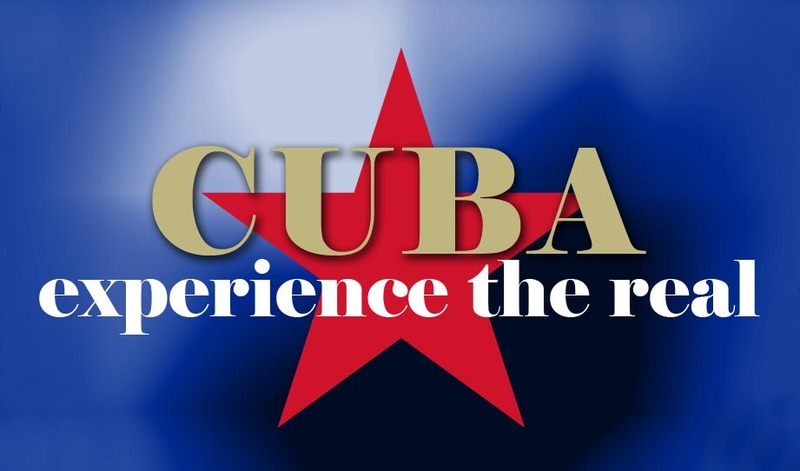 Please email me at experiencetherealcuba@gmail.com with the dates of your travel and the number of people travelling, so I can give you our prices. We will be in Cuba March 16-25. Is the 4 hour ride to Trinidad an interesting trip? Lots to see? Are there flights? No trains I gather. We will spend basically wjhat equals a full day in transit for the roundtrip. We are scheduled to go to both a tobacco farm in Vinales and a cigar factory in Havana. Is there enough to make both visits necessary? There is so much else we want to see and none of are smokers. Our return flight was booked before the Rolling Stones concert was confirmed--- darn.Do you have any idea how getting tickets will work if we can get a later flight? What about tickets for the baseball game on March 22 that Obama will attend? There are no flights or trains to Trinidad. The bus journey on the motorway is flat countryside but after you pass Cienfuegos the countryside gets more picturesque with the Sierra de Escambray. Both the cigar factory and tobacco farms are interesting, I have been and I am not a smoker, you get to see both sides of the process. There is no definite information about how the ticketing system will work for the Rolling Stones concert, apart from that it will be a free concert. Hi, we are planning to travel to Trinidad after staying 3 nights in Havana. When we check the website of Transtur, it only gives us the option to collect us at Havana airport, not from Havana city centre. Could you please let us know if it is possible to collect us from Havana/Old Havana? When you get to Havana go to the Parque Central Hotel and book the Transtur. Tell them where you are staying and they can tell you where the nearest pick up is to you. One possibility is Hotel Santander which is on the outskirts of Havana Vieja. Do you recommend renting a car to travel between Havana, Trinidad and Cienfuegos for 2-3 days? If you prefer your freedom to travel when you want and stop when you want then I recommend renting a car. I would also recommend that you look into it and book it sooner rather than later. If you leave it until the last minute you may find it difficult to find a car available. Hi, Rena. Have some questions for you. Visiting family in Cuba for the first time since I was 10 (was born in the states). Really want to go exploring. Arriving in Havana and thinking of leaving the next day for Trinidad for 3 nights, Camaguey 2 nights, Holguin 3 nights (where my family mainly is - some are in Havana), heading back to Havana for a day or 2 before going to Vinales for 2 nights (should it be just one? ), and then Havana for 4 more nights. I wanted to stop in Cienfuegos on my way to Trinidad but it might not be worth it? Also figure Varadero is just a tourist trap. Seem like a good itinerary? Mainly traveling Viazul. I have the reservations up on Viazul but I haven't confirmed/paid for them. Also considering just winging it. Thoughts? Sounds like an amazing trip, it will be good to see family again after such a long time. I think you need at least 3 nights in Trinidad. You can decide from Trinidad whether you want to do a trip to Cienfuegos, it is only 1 hour away, so you can do an organised trip or hire a driver to take you. I wouldn’t wing it so much because it is busy here in Cuba so you may have trouble finding transport, but if you have Viazul booked then that’s great. Camaguey is lovely, if you stay 2 nights, this will only give you 1 day to explore depending on the time of travel. I would stay at least 2 nights in Vinales, this will give you a chance to go out early in the morning and go horseback riding. I woudn’t bother with Varadero, unless you want to just chill out on the beach. If you do want some beach time without having to go to Varadero you can pop to Playa Ancon in Trinidad and Playas del Este in Havana and maybe your family in Holguin can recommend some beaches nearby. Hi there, great article thanks for sharing. We have booked for Cuba in April 2017 and we are doing 4 nights in Havana, 3 nights in Trinidad and then 3 nights in varadero. Do you know how long it will take us by bus from Havana to Trinidad and then Trinidad to Varadero. Also do the busses have toilets on them? Thanks for any help you can give. You can find the Viazul bus timetable on their website on www.viazul.com. The trip from Havana to Trinidad is around 5 hours. The buses do have toilets but they don’t always work. In any case the bus does stop for a quick toilet / refreshment break along the way. Alternatively you can organise a private or shared taxi service with us. My friends and I are traveling to Cuba for 10 days in November from Australia. There will be 6 of us. We fly into Havana and want to work our way down to Trinidad. We plan on hiring a car/s to do this and stay in Casas. Is there anywhere that you would recommend to stay/ stop over along the way? We looked at Playa Larga on recommendations from a friend however the Hostal we wanted to stay in can't accommodate us. We also had the idea of doing a day trip out to Mariel to see the tobacco farms. Would you recommend this? How many days in Havana/ Trinidad would you recommend for us given we only have 10 days and would like to stop of somewhere along the way or way back? I would recommend at least 3 nights in both Havana and Trinidad. Send me an email at experiencetherealcuba@gmail.com if you want help with booking Casas. Please email me at experiencetherealcuba@gmail.com with your questions. Planning a 4 day trip to Trinidad from Havana during our 2 week stay in Jan 17. Likely to take a taxi (classic car preferably) there but will probably take the Viazul bus back to Havana. We will have suitcases (medium size) - will this be a problem on the Viazul - is there anywhere to store them?? We may decide to take rucksacks instead if that's more practical! It will not be a problem to take suitcases on the Viazul, they have storage for luggage on the bus. Hi Rena - enjoyed your blog. We are travelling in December for 2 weeks. Mostly we will stay in Havana but would like to do a trip to Trinidad (3 nights) and Santa Clara (1 night). Is Transtur an option for Trinidad to Santa Clara? and Santa Clara to Havana? What do you recommend? I am not aware of any Transtur services from Trinidad to Santa Clara and Santa Clara to Havana. You can either book the Viazul bus online or you can book a private taxi service with us. For information on our prices email me on experiencetherealcuba@gmail.com. Does anyone know if you can take the Viazul from Santiago de Cuba to Santa Clara. We are flying down to Santiago de Cuba from Havana, but then heading over to Trinidad. If we can get to Santa Clara then we can get a taxi to Trinidad. There are no flights from Santiago de Cuba to Santa Clara as far as I can tell. Hi Judith Yes you can travel from Santiago de Cuba to Santa Clara you can also travel to Trinidad. Check out their website for timetables and prices http://www.viazul.com/ You can also book tickets online. Hello , I will be Traveling to Cuba with a friend , we are planning to visit trinidad, our Casa Particular Host can find us a taxi for $140 CUC is this a fair price? Considering the distance from Havana to Trinidad? Hello, my friends and I will be visiting Cuba for the very first time and we are very excited! We have only 5 full days in Cuba not including the day we arrive and depart. Is it worth taking a day/ night to go to Trinidad? 4 hours each way is a long journey for just an afternoon and night in a city. Hi Rena ! Thank you for the super informative blog. We are a couple and please suggest any group tours available to Vinales & Crocodile Farm in Guama from Havana. We are traveling to Cuba between 16th to 26th this month. Thanks in advance - Kiran. thank you for the reply Rena. Will check with the hotels. As much as I love Trinidad I think it is too difficult to do it in a day from Havana. I recommend you stay at least 2 nights to make the most of your journey, which is around 5 hours each way. A group of me and 6 of my friends are planning to travel to Trinidad in January for 3 days. We are planning to take a private taxi and was quoted 350 CUC each way. Is that a reasonable price? It sounds a bit expensive to me. If you email me at experiencetherealcuba@gmail.com with your dates of travel, pick up address, drop off address and times of preferred departures, I can see if we have anything available. My wife and I will be visiting Cuba in April 2017 and are planning to visit Habana, trinidad and Cayo Largo in 12 days time. We have a few questions we would like to ask you if that's alright with you. -Is Cuba busy and difficult to find transport that time of the year? - We read that there is a way of travel called Connectando, is that another name for Transtur? -If we want to experience the beautiful Cuban landskape, is it better to take the Vizul, shared taxi, Transtur or Connectando? -We've heard that the best and way cheaper way (around 250 CUC/persons for 3 days) to travel to Cayo Largo is to visit a major hotel in Habana and book excursions including flight + transfer + all inclusive hotel. Would you agree with that or would you recommend something else? Please email me at experiencetherealcuba@gmail.com where I will be happy to answer your questons. Hi this blog is very informative. We are visiting Cuba in April, staying in Havana for 6 days. We would love to visit Santa Clara as well. Is this possible to do in one day? Are there any hotel tours that do this? Thank you. Hi Melanie we do not organise day trips from Havana to Santa Clara. You could hire a car + driver for the day to do as a day trip or you could go to one of the hotels in Havana to see if they offer a group tour for the day. Have a great time in Cuba. Thinking of coming to Cuba for Christmas and New Year, 10 days in total, where should we go for Christmas-Havana or Trinidad? I prefer Trinidad because it is a small town with a lively atmosphere, easy to find places to go to celebrate Christmas. We are a couple taking a trip to Cuba next week and have 6 nights to spend. We were planning on spending two nights in Havana then renting a car and driving to Trinidad and spending 3 nights there. Are there tobacco farms along the way to stop at and explore? Would you recommend a place to rent cars or scooters for the trip? Also, we wanted to maybe see Viñales for a day or maybe a night. Do you think it would be too much to squeeze in this extra side trip? So excited to see Cuba and explore! Sorry I don't know of any tobacco farms along the way from Havana to Trinidad and I do not have any recommendations for car hire in Cuba. I think it is a bit of a squeeze trying to see Havana, Trinidad and Vinales in 6 nights. They are long travel distances and you will spend most of your time travelling rather than enjoy the places you visit. Hi! I am stopping off in Cuba for 3 days before I meet a gf in Mexico. I will be traveling alone. After doing some research, I'm quite disappointed that I didn't allow for more time to explore - this will force me to go back &^ I'd like to go before all the resorts go up. Anyhow, I'm planning on seeing Havana... but since I'm so limited in my time, what must see places do you suggest? If not, the best thing to do in Havana is wander through the streets, visiting art galleries, museums and seeing where it takes you. There is also a tourist hop-on-hop-off bus which takes you to various locations, this will give you an overall view of Havana. We only have one day in Havana before travelling to Trinidad and are wondering what would be the best way to arrange a collectivo for the trip to ensure the arrangements are solidified? Also, how much should we expect to pay (max) for two people? You can book the shared taxi service from Havana to Trinidad with Experience the Real Cuba. I have already sent you an email with our prices. We do not offer a shared taxi service from Havana to Viñales, you can maybe find a shared taxi service by going to the Viazul bus terminal, there are often taxis hanging around outside the bus terminal looking for people to fill cars. We do offer a day tour with an English speaking guide, email me at experiencetherealcuba@gmail.com for more information. Hi Rena I am travelling to Cuba in July and planning to spend time in Santa Clara. I cant decide if i should stay for 1 night or 2. Is there enough to keep me busy to stay the second night. I have read that nightlife is good there. I would always recommend 2 nights in any location, as travel in Cuba is a challenge on time so if you stay 2 nights you will more than likely get 1 full day to explore Santa Clara. No there is not a direct service, check out the following blog post. Thanks so much for all your information! I am planning to visit Cuba in March 2018. I’m coming from the US (traveling alone), and I will have to come and go through Havana. Can you tell me the best way to get to Santiago from there? I know it is a long way, but I really want to visit Our Lady of Caridad del Cobre! I am considering taking an overnight Viazul bus the same day that I arrive in Havana, so that I would reach Santiago the next morning. I could also fly to Santiago the same day that I get to Havana. Flying is faster, but I’ve heard that flights are often delayed by quite a long time, so I wonder if it would be better to take a very long bus ride. I would then make my way back to Havana along the coast, stopping in Trinidad or Cienfuegos (hopefully both). Can you please give me your advice? I sent you an email, but I thought of also leaving a message here. Your blog is really helpful. I was hoping you could help me decide my itinerary. My husband and I are planning to go to Cuba early March. We have a pretty brutal flight going there. We leave Seattle at 12:25 AM and reach Havana at 1:35 PM with few stops along the way. So, we will be very tired when we get there. We fly out on March 10th. Considering we have good 7 days or so, do you think it will be too much to try to do Havana, Vinales and Trinidad. What would you recommend? Also, would you be able to recommend any casas in Havana and Trinidad? We like to be able to walk everywhere if possible. Also, horseback riding group in Vinales that you recommend? Thanks for your message. I have received your email and have replied. The internet connection in Cuba is unpredictable, so it may have not got sent. I sent an email to Shruti. Please can you send me an email to experiencetherealcuba@gmail.com so I can reply to you directly.